Home > Blog > Does Losing Weight Make You Smarter? Does Losing Weight Make You Smarter? While you successfully slim down on your weight loss journey with phentermine, you will notice the many benefits, such as looking better and being more physically able. Then there are the benefits to your health, such as a reduced risk of disease, cancer and other chronic conditions, but did you know that losing excess weight might also make you smarter? New research shows that being overweight could be bad for your brain as well as your body, so you have even more reason to start exercising and eating healthily – it’s the smartest decision you can make! A 2011 study by Kent State University, was one of the first to investigate the concept of how losing weight can help make you smarter. The researchers studied a total of 150 overweight people – some of whom lost weight and some of whom did not. The participants were put through a series of mental-skills tests to measure their level of memory and attention — once at their starting weight, then again after they had lost at least 50 pounds through surgery or other means. At the beginning of the study, researchers found that 24 percent of participants showed ‘impaired learning’ and 23 percent had poor memory retention. Those who lost the pounds improved their test scores, while those who didn’t showed a mild decline in memory. The reason for this is thought to be due to the negative effects that obesity has on the body and brain as hypertension, type-2 diabetes and sleep apnea, all consequences of being overweight, are bad for your cognitive functions and especially, memory. As well as making you physically fit, a regular exercise routine can make you mentally fit, too. In a 2012 study, previously sedentary adults showed greatly improved cognitive functions – including the ability to think, recall and make quick decisions – after being put through four months of high-intensity interval training. The study measured the participants’ cognitive function, body composition, blood flow to the brain, cardiac output and their maximum ability to tolerate exercise before they began a twice-a-week routine with an exercise bike and circuit weight training. While is it not surprising that their weight, body mass index, fat mass, and waist circumference all went down and their capacity to exercise increased, their cognitive functioning also improved significantly. The improvements in cognition, thought to be related to the increased flow of blood to the brain during exercise, were proportional to the changes in exercise capacity and body weight; essentially, the more people could exercise and the more weight they lost, the smarter they became. This shows that while also fighting the health risks that can come as a result of obesity, exercise helps partially prevent the decline in cognitive function that is a normal part of aging, and which can also be worse for people who have coronary disease. Furthermore, although people can manage cholesterol or blood pressure with a pill, taking a pill won’t make you smarter, whereas exercise can do it all. So, you have even more reasons to make the most of the energy boost that phentermine gives you, by incorporating more activity into your daily routine. Just like the rest of your body, your brain needs energy to function properly. The ability to focus and concentrate comes from the adequate and constant supply of energy, in the form of glucose in our blood to the brain. By choosing whole grains, such as wheat bran, granary bread, brown rice and whole meal pasta, you will stay mentally alert throughout the day as a result of a steady release of glucose into the bloodstream. Essential fatty acids (EFAs) have many health benefits, including healthy brain function, but have to be obtained through your diet, as they cannot be made by the body. The most effective omega-3 fats occur naturally in oily fish, such as salmon, trout, and sardines, as these fish contain the special nutrients EPA and DHA; research has shown that low DHA levels have been linked to a higher risk of developing Alzheimer’s disease and memory loss. Vitamin C has long been thought to improve mental agility, so stock up on vitamin C rich foods such as kiwis, blackcurrants and oranges for their brain boosting power. Research shows that a good intake of vitamin E might help to prevent cognitive decline, particularly in the elderly. Nuts are a great source of vitamin E, along with leafy green vegetables, asparagus, olives, seeds, eggs, brown rice and whole grains. Apples are a leading source of quercetin, an antioxidant plant chemical that keeps your mental juices flowing by protecting your brain cells from free radical attacks, which can lead to cognitive decline. To ensure you get your brain boosting hit, be sure to eat your apples with their skins on, since that’s where you’ll find most of their quercetin. This leafy green is packed with nutrients that prevent dementia, like folate, vitamin E, and vitamin K. Just half a cup of cooked spinach packs a third of the folate and five times the amount of vitamin K you need in a day. It’s well known that weight loss promotes a decreased risk of disease, as well as many other health benefits, but this research also shows that a healthy lifestyle can boost your brain power and make you smarter. 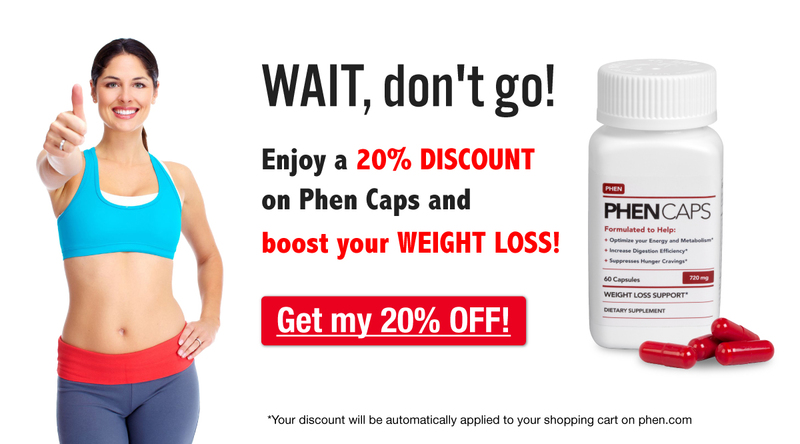 Both your body and your brain need exercise and essential vitamins in order to function properly, so making the right food choices and exercising while you’re on your weight loss journey with phentermine are intelligent choices that will make you even smarter, as well as helping you lose weight. Do you notice yourself getting smarter as you lose weight? We’d love to hear your opinions on this so please comment below!